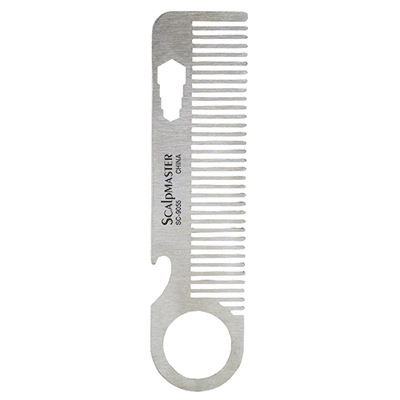 Durable, stainless steel beard comb is perfect for grooming full beards, moustaches, and facial hair. Finger hole offers a secure grip and more control during use. Measures 5-1/2".